If you follow me on Twitter (@k_leexjx), I'm sure you've seen me tweeting about my new healthy eating plan and my attempt to shed a few pounds before my holiday in June. I wouldn't say I have a lot of weigh to lose but the Christmas period and way too many meals out at the beginning of this year has resulted in me gaining half a stone and it's beginning to show! When your jeans start feeling tight, you know it's time to make a few healthy changes. 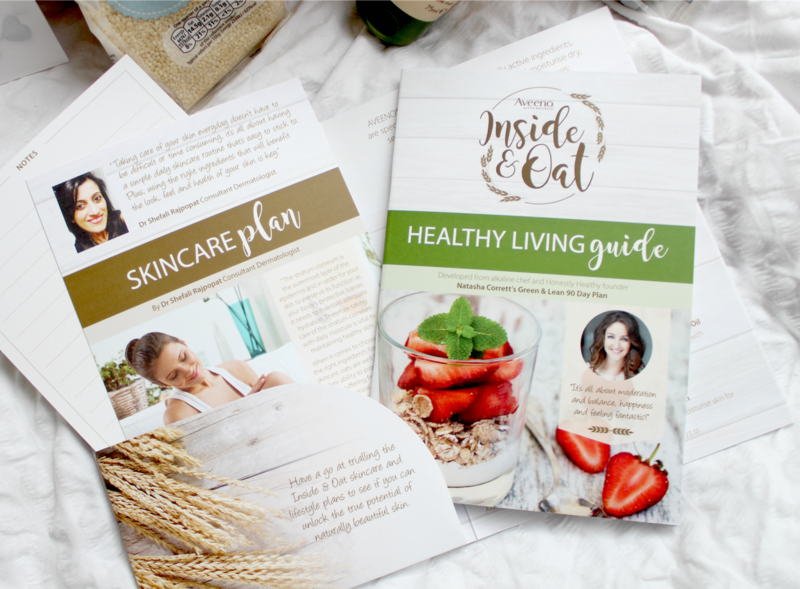 With this being said, I was very excited when skincare brand AVEENO got in touch to ask if I'd like to be involved in their 'Inside & Oat' challenge which involves following a healthy eating, exercise and skincare plan for one week. As someone who really enjoys cooking and trying new recipes out, I jumped at the chance to be involved. I've always heard good things about AVEENO's products too so I'm looking forward to pampering my skin with them every day. AVEENO say 'we believe healthy, beautiful skin is a reflection of inner health and daily moisturisation. 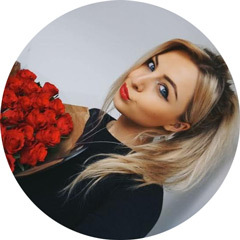 Wellbeing for skin is our main purpose, and our philosophy is that looking after your body on the inside, as well as the outside, is fundamental in achieving and maintaining healthy, beautiful skin every day'. With this being said, the purpose of this challenge is to see the difference a healthy lifestyle combined with their products makes to my skin and I'm going to report back with how I found the challenge and any differences I notice when the challenge is over. I'm hoping I enjoy the recipes and daily exercise and they'll become part of my routine, even after the challenge is over. 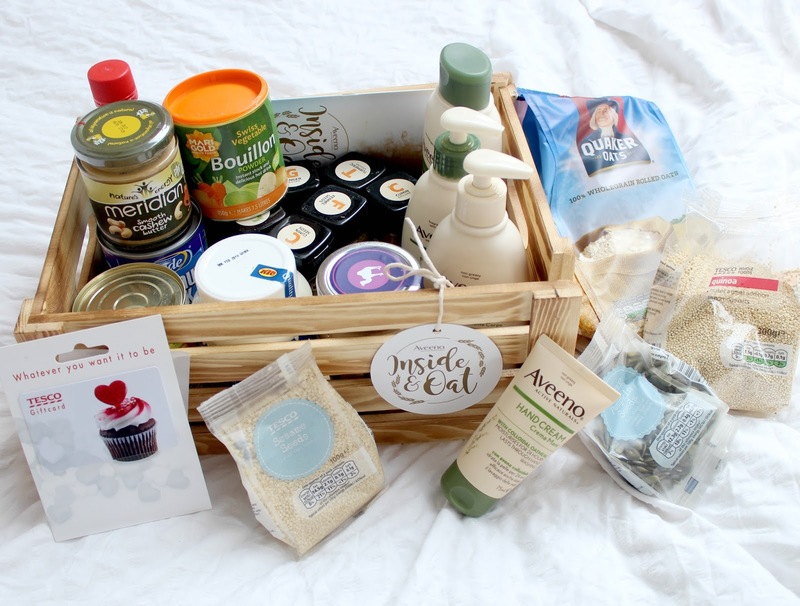 As you can see from the images, AVEENO kindly sent me a hamper full of amazing goodies so I can get started on my new holistic lifestyle plan. 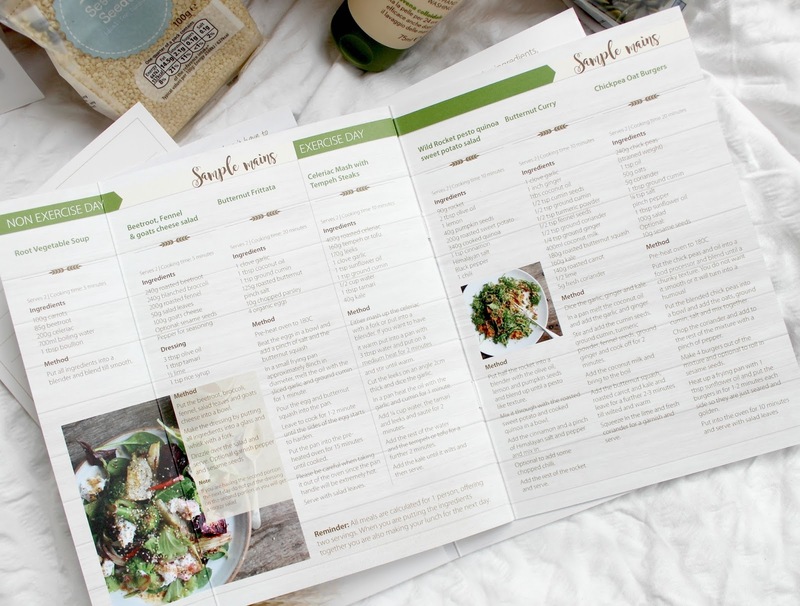 I was so excited when this turned up at my door and can't wait to start using everything and trying out all of the delicious sounding recipes which have been developed by alkaline chef Natasha Corrett of Honestly Healthy. All of the recipes are plant based and free from gluten, wheat, refined sugar and cow's dairy so it'll be really interesting to see what kind of affect that has on the way I feel. I'm particularly excited to use the cashew butter and quinoa as I hear so much about them and their health benefits but have never really incorporated them into my diet. There's also some of the usual healthy suspects in there including oats, coconut oil and various spices to give the food lots of flavour. 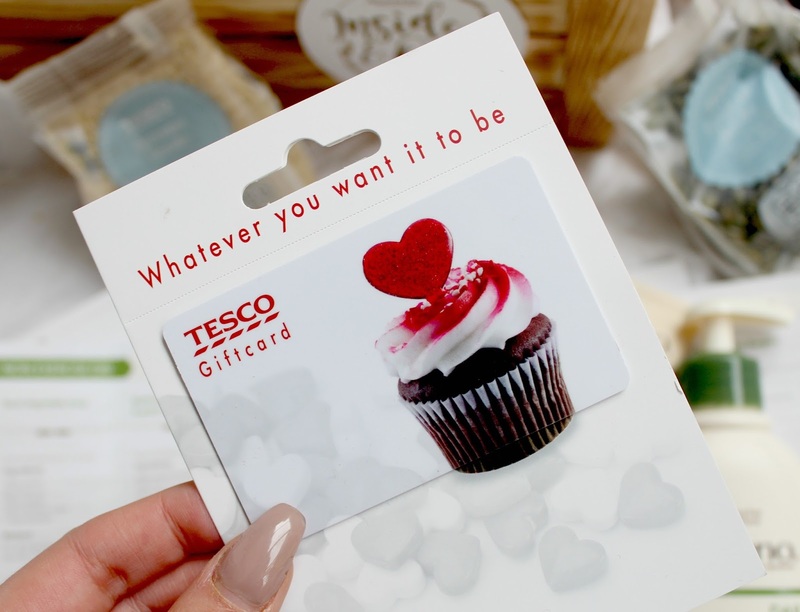 They've also given me a £20 Tesco voucher so I can go and buy the fresh produce I'll need for the week such as sweet potato, avocado and fresh herbs. As you can see from the sample menu, everything sounds delicious. AVEENO have also partnered with Dr Shefali Rajpopat, a consultant dermatologist who has developed a skincare routine for me to follow over the seven day challenge using the AVEENO product range. The products included are their daily moisturising lotion, moisturising creamy oil, body wash and hand cream. All of the products contain naturally active ingredients and are specially formulated to gently cleanse and moisturise dry, sensitive and irritated skin. I personally have really sensitive skin and am usually really lazy when it comes to moisturising my body so these products will be perfect to add into my routine. I'm particularly intrigued by the moisturising creamy oil and can't wait to report back with my thoughts on the range in my next post. I'm really excited to get started with this challenge and can't wait to see the benefits a healthy lifestyle will have. I'll be sure to take photos of the recipes I make and will be updating my social media with how I'm getting so make sure you're following me if you're interested in seeing how I get on!! Do you like the sound of this plan? Is it something you'd try out yourself? 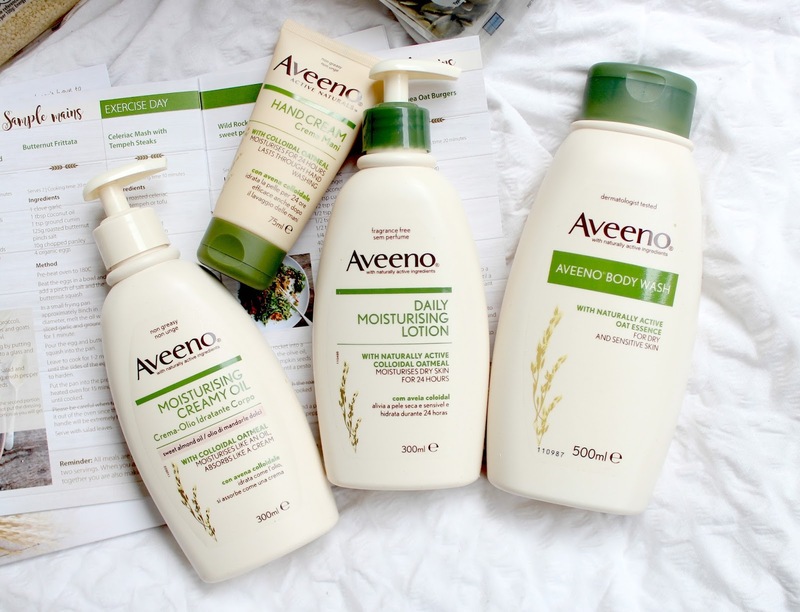 Aveeno are such an incredible brand, you can even get it on prescription now because it works wonders on eczema! Great post!